Glas Werk, Inc. – Custom Quartz Ware & Scientific Glassblowing products. Glas Werk, Inc. is your source for quality Custom Quartz Ware & Scientific Glassblowing products. Welcome to Glas Werk, Inc. Complete our Request For Quote form and we will respond right away to your inquiry! Manufactures Custom Quartzware, Quartz Glass & Scientific Glassblowing Materials For The Semiconductor Industry. Products Include Furnace Tubes, Horizontal/Vertical Wafer Boats (2-12″), Process Tubes & Chambers, Pedestals, Transparent & Opaque Bell Jars, Large Quartz Coils, Injection & T/C Sheets, & Solid Machining In Ceramics & Quartz. Servicing Industrial & Manufacturing Sectors Including R&D, Air Pollution Control Testing, Medical Glass Instruments, & Laboratory Glassware. 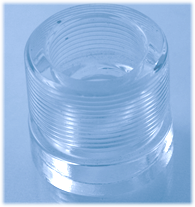 Custom Quartz Parts For Applications Including Semiconductor, Optical Communication & Lighting Industries. Machinery Processes CNC Mill, Vertical Annealing Apparatus, Large Kiln & Automated Flame Polishing. Design & Engineering Assistance Available. Glas Werk Inc. offers customers quality custom quartz parts for application in the semiconductor, optical communication and lighting industries, just to name a few. We have developed truly innovative solutions for the unique challenges present in each of these industries and possess a thorough understanding of the real world needs and expectations our customers demand. This understanding is a constant motivating force driving Glas Werk to produce products that exceed customer expectations.